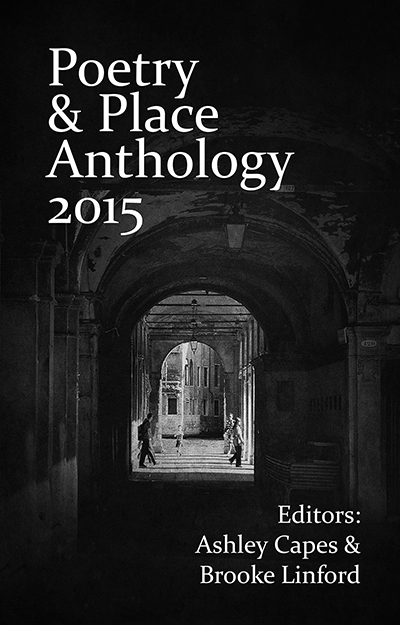 It gives us great pleasure to announce the official release of the 2015 Poetry & Place Anthology! Print and eBook editions are now available through major online retailers and can also be ordered through bookstores. Below, you’ll find a range of purchase links and we hope you’ll be able to support us and the poets within – even sharing this post helps spread the word about the anthology. Unlike our previous journals, Egg[Poetry] and holland1945, this anthology was always going to be a longer project, both in terms of page count and terms of release schedule. But we believe the collection is stronger for the extra care and time spent. We’re pleased to say that over the last year and a bit, we and the anthology have survived poor health, local postage price-hikes and distribution delays among all the other minor hiccups any journal faces and we’re beaming on the other side. Stay tuned to our blogs for launch week, spanning Monday the 2nd – Friday the 6th of May, where we’ll be featuring spoken word recordings from the poets themselves for each of the five days! Thanks again to everyone who helped us from start to finish! ‘Place’ is such an evocative theme; one that thrills us still and one we hope will enthrall you too when you read the poems we were lucky enough to be sent. Stay tuned for the April on sale date!